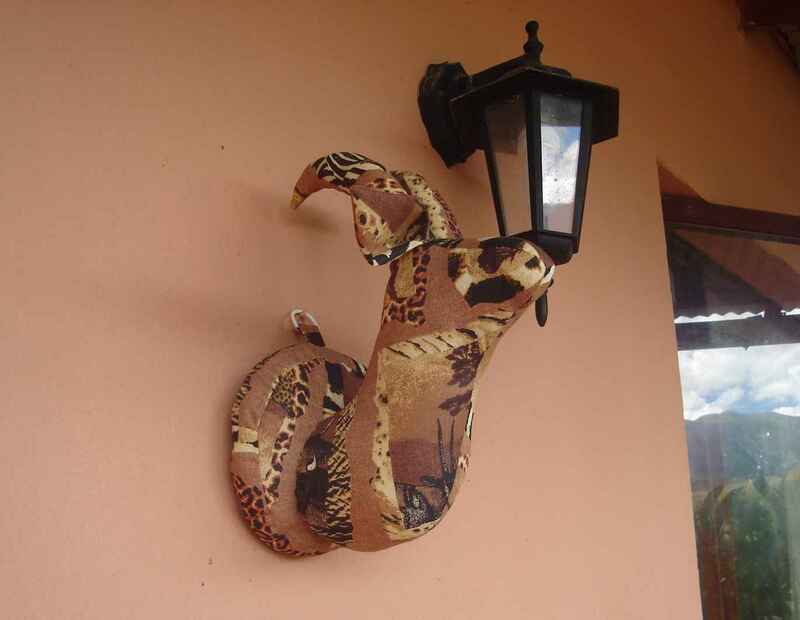 Made of African print cotton and stuffed with polyester batting, this item is washable and fits any size wall. As with everything I make, no antelope were hurt, harmed, harried or harassed during the making of this head. 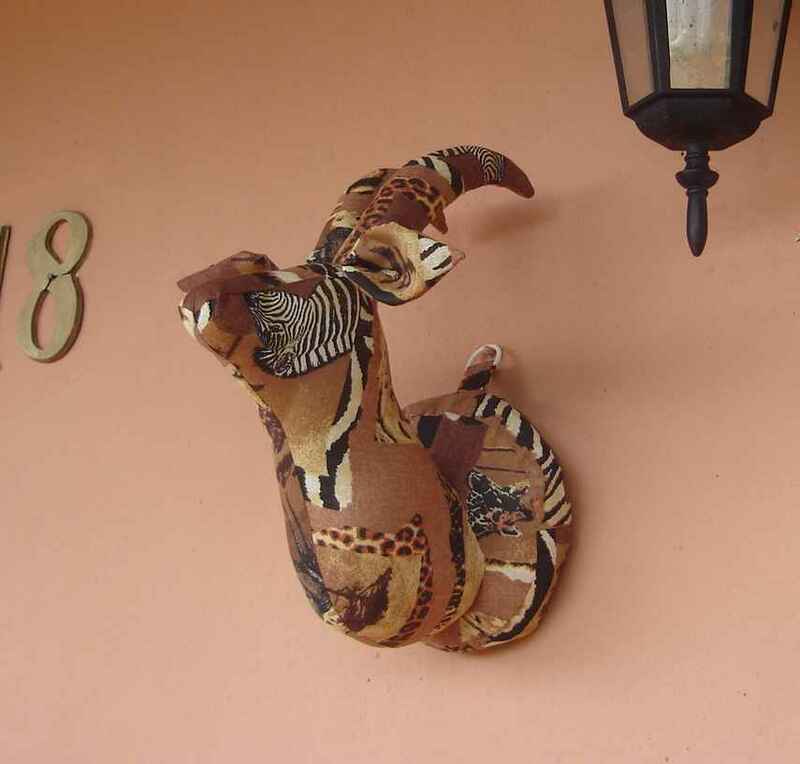 This entry was posted in Crafts and tagged antelope, fabric antelope head, fabric taxidermy, fabridermy, faux taxidermy, stuffed animals. Bookmark the permalink. Thanks Dani. Nobody driving past has done a double-take, but wait until the crochetdermy elephant goes up. Much nicer than a real animal head. 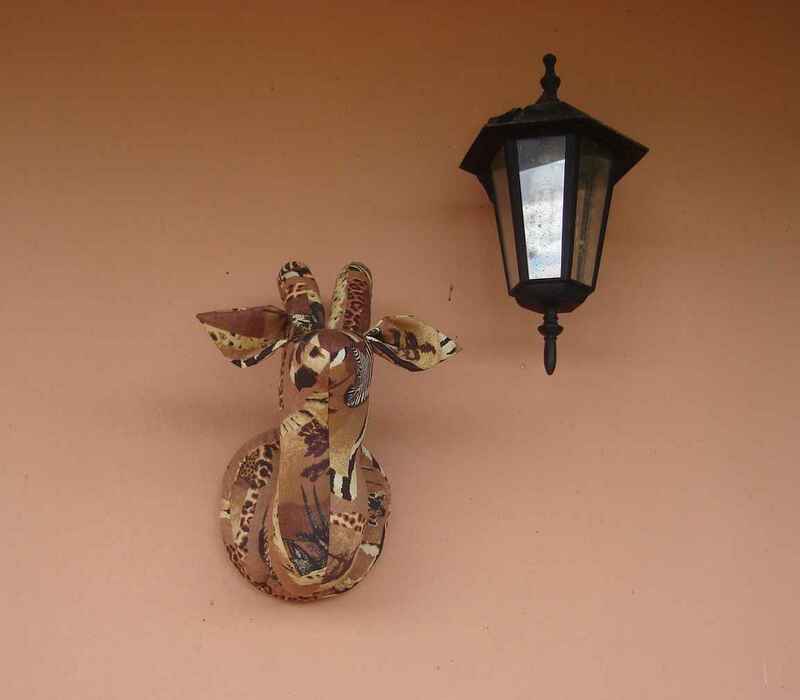 Do people really still put dead animals on their walls? They still do this barbaric thing Helen, I’m sorry to say. claire this is an amazing idea! Not really my idea, I saw some crochetdermy and wanted to try it, but I needed to know what the shapes of the pieces were, so I made them in fabric and liked them just fine that way. Still want to try the crochetdermy.